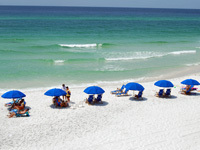 Only regular passenger vehicles with proper registration and license are permitted on BeachCrest of Seagrove property. BeachCrest parking pass must be clearly displayed. Assigned Handicap parking only for actual registered Handicap person. No ability to charge electric golf carts on property. All garbage/trash must be in sealed bags and placed in the chute on each floor. Large items and bags must be placed in the enclosed trash container in parking lot. Recycle bins are available behind Publix on Route 395. 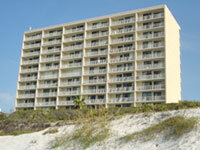 Only owners and rental guests may have access to the BeachCrest of Seagrove pool and beach boardwalk. All items must be removed from the beach daily so county tractors can groom and grade the sand. Items not removed will be subject to removal and disposal. No towels, bathing suits, or clothing items may be hung from the balconies. All trash must be placed into trash receptacles in the pool and beach areas. NO GLASS IN OR AROUND THE POOL AREA OR BEACH! Quiet hours are observed from 10pm to 9am. No fireworks allowed on property or beach areas.